Flowers just might be more than a heartfelt gesture from your loved one or a kind offering to a friend in need. According to a study from the American Chemical Society study, the scents from various plants and flowers have the ability to reduce stress. Both plants and flowers have stress relief benefits. Many people will experience a lot more positive benefits from flowers other than just stress reduction; however, not everyone is able to enjoy flowers due to allergies. Another benefit of plants is the fact that they contribute to air purification. In turn, they contribute to an improved quality of life. Try to buy flowers and plants that are in season and grown locally to save money and to be kinder to the environment. You might also consider a subscription service to ensure you are always receiving new plants and flowers each month to keep your spirits lifted in the long term. Dr. Jonathan S. Kaplan is quick to point out that it may not actually be the plants or the flowers that are directly reducing stress. He states that the sentiment that has been placed on these items within our societies may be the actual trigger of a good mood and less stress. It could even be the distraction they cause that makes people forget about their daily stresses for a short time that improves moods. He believes this could also occur from other items that make a person happy from photographs to fish tanks. It is believed that one of the reasons for stress reduction by certain plants and flowers has to do with a chemical change in blood and gene activity. This is done so by inhaling particular scents that are released from specific plants and flowers. Even if stress is reduced simply for psychological reasons, many studies point toward the fact that plants and flowers do in fact reduce stress levels. It is believed that some plants and scents have a stronger effect than others. Some of such include linalool, lemon, lavender, mango, orange, succulents, aloe vera, Chinese lace, philodendron, snake plant, peace lilies, golden pothos, arrowhead vine, dracaena, Chinese evergreen and vinca vines. If any of these plants or scents do not appeal to you, any flower or plant will help reduce the stress in your life even if it is only temporarily. 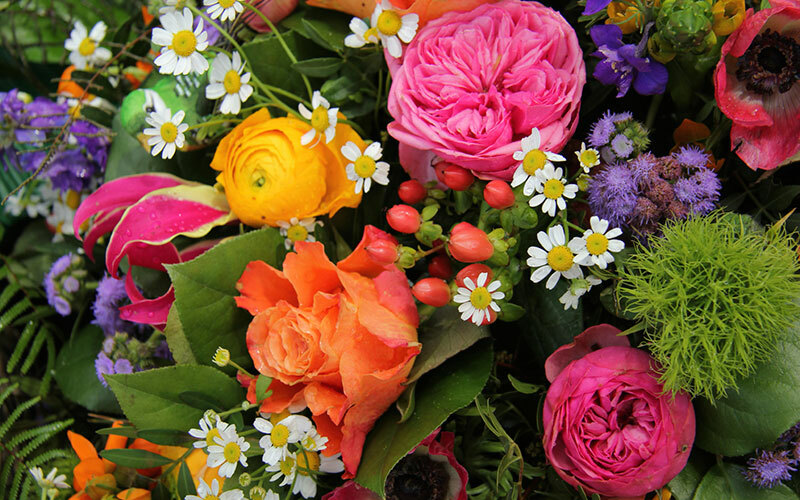 Do flowers make you feel less stressed? Let us know in the comments! Be sure to tell your friends about these findings to help reduce the stress in their lives, too.